All You Can Books Blog brings to you a plethora of children’s books, both the classics and modern masterpieces. Get them in audio or e-book format, and enjoy reading a wonderful story with your children. One story your child is sure to love is The Tale of Peter Rabbit. The Tale of Peter Rabbit has been translated into a number of different languages around the world. It is one of the most popular children’s book to date, with millions of copies sold worldwide. Although the story is short, much like other children’s books, it has been able to capture the minds and hearts of many. 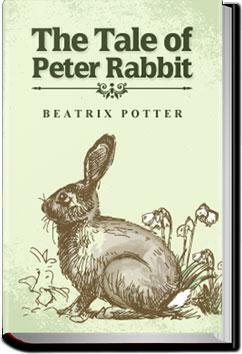 Written and illustrated by British author, Beatrix Potter, the story is about mischievous Peter Rabbit. Peter, disobeying his mother, enters into the garden of Mr. McGregor, enticed by a lush garden bearing an abundance of fruit and vegetables. After eating his fill, Peter must escape the wrath of Mr. McGregor then return home, bruised, battered and sick from his experience. Although published in 1902, it remains a popular favourite because of the disobedience of the main character and moral that can appeal to even today’s children. Beatrix Potter wrote The Tale of Peter Rabbit for her former governess’s 5 year old son, Noel Moore.